Photo source: espreso.tv interview, Sept. 13th. Today I was in many places and met different people. Including in the Pentagon, at the office involved with psychological warfare. Which is what we failed in, when we allowed them to create a sanctuary for terrorism out of a mining region within three months. Below are excerpts from the book on psychological warfare. Read it and find out what is happening now with Ukraine. Understand from where and why the words appear about the “threat of Russian tactical nuclear arms,” “crap, they betrayed us,” the propaganda of desertion: “Guys, well done, you rescued yourselves,” why yesterday’s volunteer [battalion] commanders and civil society activists get transformed in the Ukrainian media space, by Russian example, into furtive, cowardly idiots. Very precisely, the essence of professionally organized psychological warfare is expressed in the teachings of the ancient Chinese philosopher and military leader Sun Tzu (VI century BC). It doesn’t matter what they say. The main thing–is what we think. Our souls and minds are the main object of the attack. Whatever the Verkhovna Rada [Ukrainian Parliament] failed to pass, whatever they decided for us–this will not happen until we want it most ourselves. Let’s stick together and be participants rather than spectators. And all will be well. This should have happened two months ago. Society was not ready and therefore the ATO [anti-terrorism operation] continued. Meanwhile, they started to work on the people. First there was the intimidation by the army of the Russian Federation, followed by a series of military defeats in which nobody was brought to justice. Then they started talking about the threat of the use of tactical nuclear weapons. And this scared people even more. Mobile phones were declared as the cause of the defeat, and those who demanded justice were labelled as agents of the Kremlin. Then they started shutting up those who could say “No” in the future, who could call for action. Campaigns were run to discredit all those who would be dangerous. 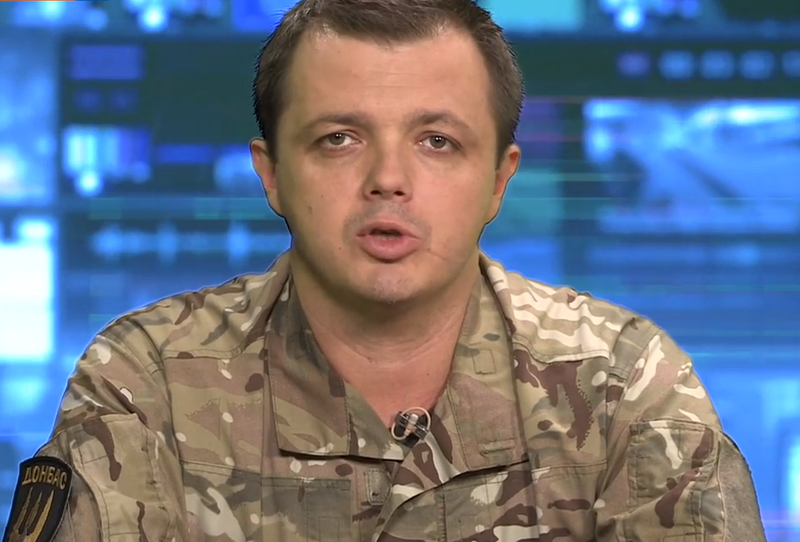 The soldiers captured at Ilovaisk remained as hostages. And now they have covered up their faces and voted. It does not matter what they think. It matters what we think. If we do not allow ourselves to be turned into spectators, if we will be active participants, then Ukraine will live. Thus, Donbas is neither the beginning nor the end. It might be very difficult. Black will be called white, and white be called black. The betrayal of out national interests will be called a victory. There are forces in the country with whom we need to unite and fight for the future. Back to back. The main thing is not to let yourself be deceived and not to forget about the goal. Do not allow them to turn you into spectators. Everything depends only on us. And this is a long game. P.S. I want peace. But there is a price higher than war. We need to change the system of government. Now THIS – is our reality. Now we all need to calm down and think clearly about our next steps. Do not disturb the hysterics and the trolls – the antivirus is enabled. This entry was posted in "Voices" in English, Analytics, English, Others, South&Eastern Ukraine, War in Donbas and tagged #RussiaInvadedUkraine, #RussiaViolatedCeasefire, #SaveUkraine, #Semyon Semyonchenko, #UkraineUnderAttack, Ukraine. Bookmark the permalink.